Alcohol & Drug Education Classes are generally offered every fourth Saturday & Sunday of the month for individuals who have been cited for MIP, DUI or possession offenses. Both an 8 hour class ($60) and a 15 hour class ($75) are offered. The 8 hour class is held on Saturday from 9 am - 4:30 pm. The 15 hour class is held from 9:00 am - 4:30 pm on both Saturday and Sunday. Please note the May classes will be held on May 18th and 19th due to Memorial Day weekend. Scroll down to register and pay online. 1. Complete Online Registration Form below. 2. Print a Registration Form from the link provided below.and mail form and payment to Matt Talbot, P.O. Box 80935, Lincoln, NE, 68501. 3. 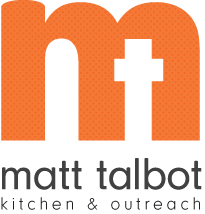 Print a Registration Form on the link provided below and bring your form and payment to Matt Talbot, 2121 N. 27th Street, Lincoln, NE, 68503. Credit/Debit card payments must be received prior to class either online (below) OR by returning the registration form to Matt Talbot at least two days prior to class. Credit/debit card payments are not accepted on the day of class. Payment by cash (exact amount) or money order are accepted prior to class or on the day of class. Remember to be on time. There will be no admittance past 9:00 am because you need to be present to complete the assigned hours. Please wait at the main entrance as the doors will be locked when you arrive for class. Your instructor will let you in a few minutes before 9:00 am. The fee for the Drug & Alcohol Education Class is non-refundable. If you are unable to attend class, you need to contact your instructor within 48 hours. Failure to contact your instructor by the Monday following class by 5:00 pm will result in another charge to complete the class.